You know, it’s easy to post when I’ve finished something and make it look like it was super easy and effortless. And some projects are like that. But, truth be told, the Gamecocks Cup Sleeves were a grueling knit. I’m not sure why. They only took about an hour each, so six of them should have taken only 6ish hours. I have no idea why it seemed like so much longer. Maybe it was because I was knitting with cotton. 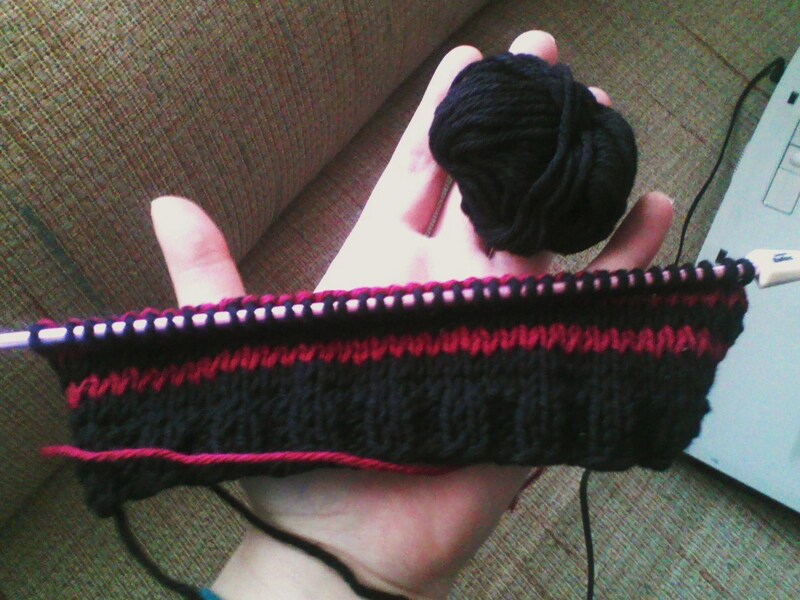 I generally prefer yarns that have a little push and pull to them. Wool is perfect like that. Worsted weight cotton was just not my cup of tea. Maybe it was because I really just did not love the colours. Sure, black and burgundy are great, But it’s the middle of winter. Can I have some bright colours? Maybe it’s because I was silly enough to knit them flat instead of in the round. Sure, I would have had to go up a needle size to knit them in the round, but what’s one needle size? Not that much of a difference. Especially since it was my own pattern. I will say toward the end of the last cup sleeve there was a bit of terror. 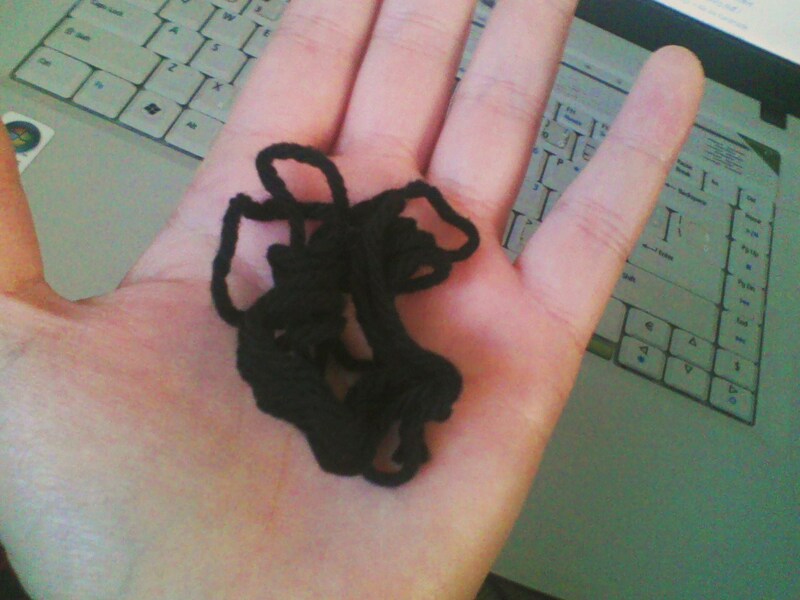 I only had this much yarn left. I was so terrified that I would run out of yarn that I had to put the project down for a while. I picked it up again the next morning, hoping and praying that I would have enough. And, you know what? I did. Just barely.